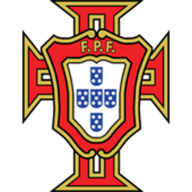 Portugal: Rui Patricio (6), Soares (6), Pepe (6), Fonte (6), Guerreiro (7), Carvalho (6), Moutinho (6), Fernandes (6), Silva (7), Guedes (6), Ronaldo (9). Subs: Mario (6), Quaresma (6), Silva (6). 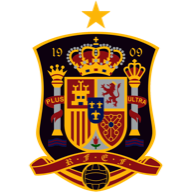 Spain: De Gea (5), Nacho (7), Pique (6), Ramos (6), Alba (7), Busquets (7), Koke (6), Silva (7), Isco (8), Iniesta (7), Costa (8). Subs: Thiago (6), Aspas (6), Vazquez (6). David de Gea's error just before half-time handed Ronaldo (44) his second of the match and Portugal the lead at half-time but after the break, Spain hit back again through Costa (55) before Nacho's thunderbolt (58) gave his side the lead. Hierro's side were starting to dominate the ball, with Isco their main threat. The Real Madrid midfielder pulled the ball back for Andres Iniesta but his shot flashed just wide of the far post. Cristiano Ronaldo captains European champions Portugal against a Spain side featuring three of his Madrid team-mates. Meanwhile, Bruno Fernandes starts in midfield for the 2016 European champions. Diego Costa started in attack and Nacho at right-back in new Spain coach Fernando Hierro's first starting line-up. Nacho was preferred to Alvaro Odriozola at right-back, with Dani Carvajal still not deemed fully fit after suffering an injury playing for Real in last month's Champions League final. Despite Spain's dominance, Portugal remained a threat on the counter-attack with Ronaldo leading the line, and the 33-year-old grabbed his second of the game thanks to De Gea's error. Goncalo Guedes teed up his captain, whose shot was straight at the Manchester United goalkeeper, but Spain's number one could only help it into the back of the net. Hierro's words at the break roused Spain as they regrouped to draw level in the 55th minute. David Silva's cross was headed back across goal by Sergio Busquets and Costa was on hand to tap in from close range. Three minutes later and Spain were in front thanks to Nacho's thumping half-volley as the ball flashed past Patricio and into the net off the post. Spain have now won their opening World Cup match in just two of their last 13 tournaments (D4 L7 - 2002, 2006). Portugal talisman Ronaldo is just the fourth player to score in four different World Cup tournaments (2006, 2010, 2014 and 2018) after Pele, Uwe Seeler and Miroslav Klose. His third goal of the match was his first direct free-kick goal at a major tournament for Portugal - it was his 45th attempt from a free-kick. Spain conceded after just three minutes and 30 seconds - it was the fastest goal they've ever conceded at the World Cup. This match produced six goals, more than the previous four meetings between Portugal and Spain at major competitions (Euros and World Cup) combined (four goals). Spain striker Costa scored with his first two shots on target at the World Cup. The Atletico Madrid striker has scored eight goals in his last eight international starts for Spain. Spain conceded a penalty goal in the fourth minute, just the fourth time a penalty had been scored inside the opening four minutes of a World Cup game. Who else could it be? The Real Madrid forward continues to write his own scripts with another superb performance, which single-handedly earned Portugal a point against Spain. By his own admission, Ronaldo's World Cup record is not the greatest but he put that right in Russia, scoring as many goals at the Fisht Olympic Stadium as he has done in his past three tournaments. The focus was on Spain before kick-off but Cristiano Ronaldo made sure he took centre stage with his hat-trick for Portugal. The records continue to tumble for Ronaldo, who became the oldest hat-trick scorer in World Cup history, with the Portuguese star aged 33 years and 130 days. It beats the previous record, which was Rob Rensenbrink in June 1978 for the Netherlands against Iran (30y 335d). It was also the Portuguese forward's 51st hat-trick for club and country, while it was also the 51st hat-trick scored in the history of the World Cup. Portugal now face Morocco in Group B on Wednesday in Moscow at 1pm, while Spain face Iran also on Wednesday, with a 7pm kick-off at the Kazan Arena.